Utah’s economy does not stand still and neither can investment in our multimodal transportation system. Our ability to move people and goods efficiently, affordably and reliably is vital to our state’s economic prosperity. As the demand for moving both people and freight increases and changes, we must continue to improve the planning and management of our transportation infrastructure. With the support and engagement of many stakeholders, the Legislature has made significant progress to improve transportation policy and governance and align investment with Utah’s long-term transportation needs. It is imperative that we continue this legacy of economic leadership through stewardship of the state’s financial resources to make a disciplined investment in our entire transportation network. Continued innovation and investment will ensure we keep Utah moving. The Utah Unified Transportation Plan is a collaborative effort between transportation agencies across the state including Utah Department of Transportation, Wasatch Front Regional Council, Mountainland Association of Governments, Dixie Metropolitan Planning Organization, Cache Metropolitan Planning Organization and Utah Transit Authority. 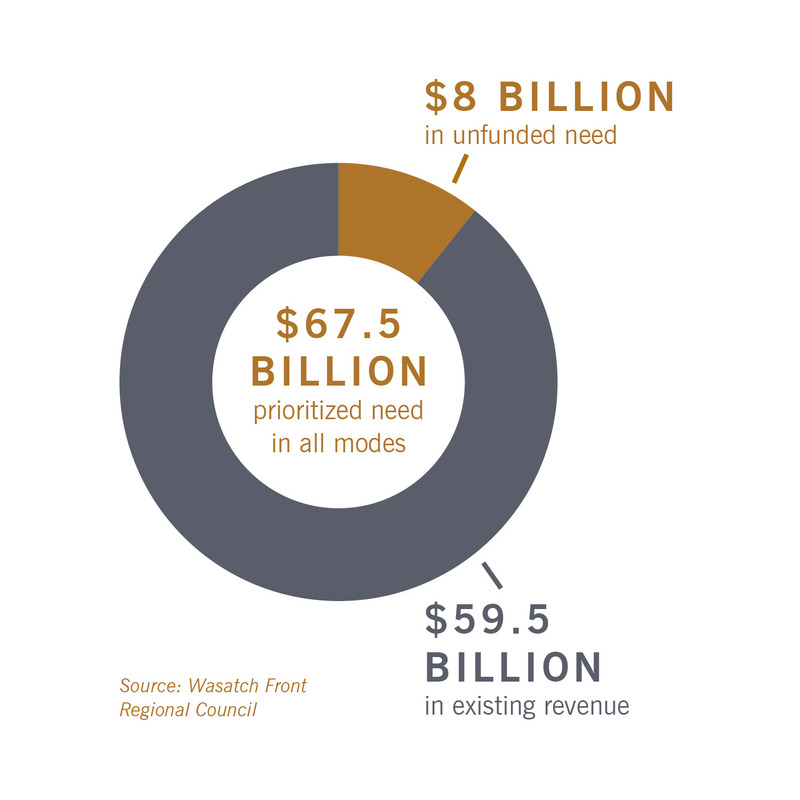 The Unified Plan comprehensively prioritizes investments needed now and in the future. This plan will improve safety, decrease harmful emissions, increase access to jobs, provide affordable convenient ways to get around and facilitate the movement of goods and people. innovative approaches to increase revenue for transportation. One such approach is roaduser charges which link a driver’s actual use of the roadway to transportation taxes as compared to traditional fuel taxes. Linking a transportation tax to vehicle miles traveled represents a shift to a true user fee. As Utah vehicle miles traveled is projected to increase over the next 20 years, road-user charges could potentially eliminate the need for a gas tax altogether by charging drivers on a per-mile-driven basis. When planning for transportation projects, a focus on land use and economic development is pivotal to a community’s success. Doing so will provide access to existing, emerging and future job centers, reduce congestion and improve housing affordability. The Transportation and Land Use Connection (TLC) program, through the Wasatch Front Regional Council, provides technical assistance to local communities to help them achieve their goals and plan for growth. The program helps communities implement changes to the built environment that reduce traffic on roads and enable more people to easily walk, bike and use transit. The Utah Transportation Coalition collaborates with partners to make smart and sustainable transportation choices that will secure adequate, stable and long-term funding to support high quality of life and economic growth in Utah. Utah will have a 21st century transportation system that enables residents to enjoy remarkable life quality and prosperity. Convenience, choice, innovation, safety, efficiency and environmental leadership distinguish Utah’s best-in-the-country transportation system. We support continued investment in our state’s multimodal transportation network to address capacity expansion, maintenance and operation of Utah’s significant transportation assets. We support users bearing the primary responsibility for funding Utah’s transportation infrastructure. We support exploring alternative measures for funding Utah’s transportation infrastructure including tolling and public-private partnerships. 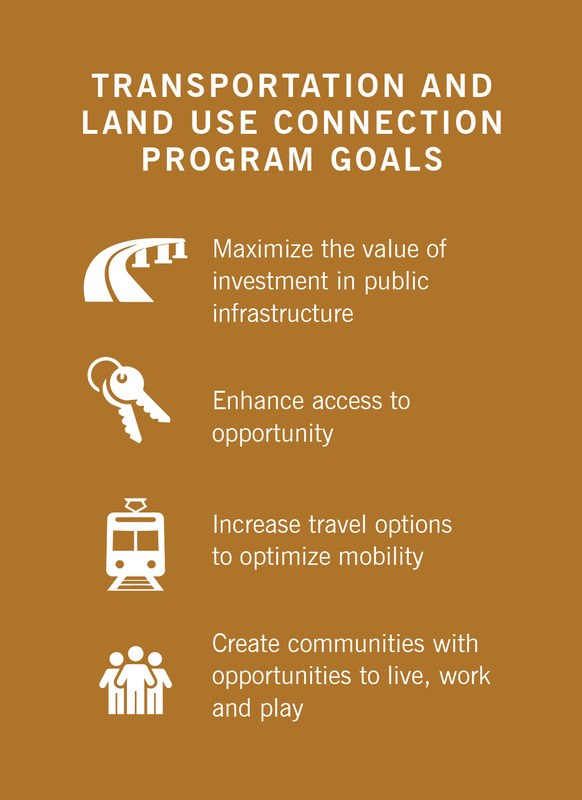 We support programs that provide technical assistance to local communities as they plan for growth, specifically the connection between transportation and land use. We support tying the eligibility for the expenditure of state transportation funding to local governments’ compliance with their moderate-income housing plans. We support encouraging local governments to plan and zone for mixed-used, multifamily housing in coordination with high-capacity transportation and transit service. We also support requiring local governments to consider long-range regional transportation plans as they develop their general plans and make zoning decisions.